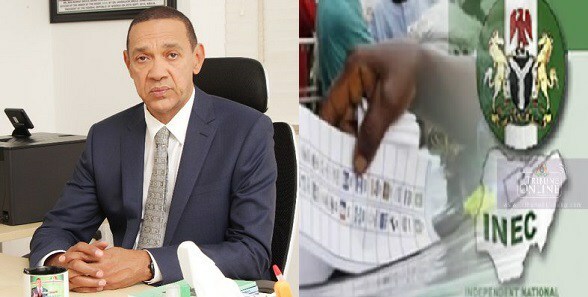 Senator Ben Murray-Bruce is advocating that Nigerians be allowed to vote by SMS in future elections. The Bayelsa State Lawmaker is advocating this method as a means to help check electoral malpractice following the fallout from Saturday’s election in Ekiti State. Kayode Fayemi of the All Progressives Congress emerged victorious in the poll, which observers and the opposition say was marred by vote-buying and intimidation. Following the furore generated from the election, Mr Bruce intervened by saying Nigeria has over millions of adults that own a phone line, and these could be used to cast votes since they are all registered by the National Communication Commission, NCC. He argues that since registered phone lines have personal details, photo and finger print of the owners, it would be convenient for voters to vote via text and avoid irregularities. The outspoken senator has been known for innovative ideas since his foray into politics, including turning Nigeria into a nation of producers and leveraging on the country’s population for growth.